A DUBLIN BURIAL plot which contains the unmarked graves of over 250 children from a mother-and-baby home should be excavated, a survivor has said. Derek Leinster, who was born to a mother at the protestant Bethany Home in Rathgar, told TheJournal.ie that he believed a Mount Jerome cemetery plot should have been examined like the Tuam babies site was. It was discovered in 2009 that children from the Bethany Home – which was run by evangelical Protestants – were buried at a plot at Mount Jerome cemetery, which is in Harold’s Cross in Dublin. Survivors from the home say they were mistreated during their time there. Pregnant mothers were sent to the home around four months before giving birth, and had to stay there for a similar time afterwards. Their children were sent to ‘nurse mothers’ and usually from there they were adopted. Leinster is a member of the Bethany Home Survivors’ Group, which put up a memorial to over 200 children buried in Mount Jerome in 2014. It is continuing to identify children buried there, and is set to add another 65 names to a new memorial there later this year. Leinster said he is unhappy that so far sites where Protestant children were buried have not been excavated. “I think that in 2009 when we first established that there were graves involved with the Bethany Home that that should have been further investigated by the State,” said Leinster. He said that records show some of the children who died in the Bethany Home suffered from malnutrition and rickets, and that an exhumation would provide more information on their deaths and exactly how many children are buried at the cemetery. 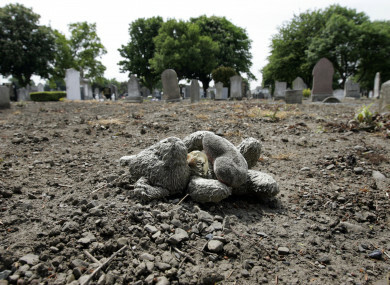 So far, research has shown that over 200 children are buried in two plots in Mount Jerome, in unmarked graves. Leinster said he believes other people, who weren’t from the home, were also buried in these plots after being given so-called paupers’ burials. He said that he believes Bethany Home survivors have been treated indifferently, and that the Irish State “has got questions to answer as to how they allowed this to happen”. He believes undertakers at Dublin cemeteries should have their books looked at to examine the details given to them over burials from mother-and-baby homes. He said he believes more children are buried there than is currently known. “I think the whole thing should have been took as serious as Tuam,” he said. Leinster told TheJournal.ie that he sent an FOI to do with the cost of excavations at the Tuam babies burial site, and was told the cost of excavation and maintenance for work carried out on behalf of the Commission of Investigation of Mother and Baby Homes came to €316,930.51. The Commission has now finished its work in Tuam, but other work was carried out afterwards by the expert technical group. Redress was ruled out for Bethany Home survivors in 2013, a decision which has been criticised by those who spent time at the home. However an offer of funding towards a memorial for children from the home was made, and records were made available to survivors. Survivors have been campaigning for redress. In its second interim report, the Mother and Baby Homes Commission of Investigation said that there is a “strong case for inclusion” of the Bethany Home within the Residential Institutions Redress Scheme. However, it said that it “had not seen any evidence that the exclusion of Bethany Home constituted discrimination on religious grounds”. Email “Call for Protestant burial site to be excavated to examine bodies from mother and baby homes”. Feedback on “Call for Protestant burial site to be excavated to examine bodies from mother and baby homes”.